Unique parallelogram support system allows the table to move in the same arc as the cutterhead when raised or lowered. This uniform, close clearance to the cutting blade acts as a more efficient chip breaker. Cabinet stand completely encases motor and pulleys to protect from dust and shavings. The specially-designed cast-iron fence is extra long for continued support throughout the cut. Modular cutterhead provides a consistently clean cut. Jack-screw arrangement allows easy replacement and adjustment of individual knives. In the event that the entire cutter-head has to be removed, a new module can be fitted in place without production down-time. The extra-long table provides a full 83” of work support. The Laguna ShearTec II is at the cutting edge of Spiral Cutter head technology today. Deep gullets allow chips to exit fast and keep the head clean. The inserts are made from thicker solid German carbide and set into the head on a flat surface rather than a cone design. This allows more torque to be used when tightening the inserts. 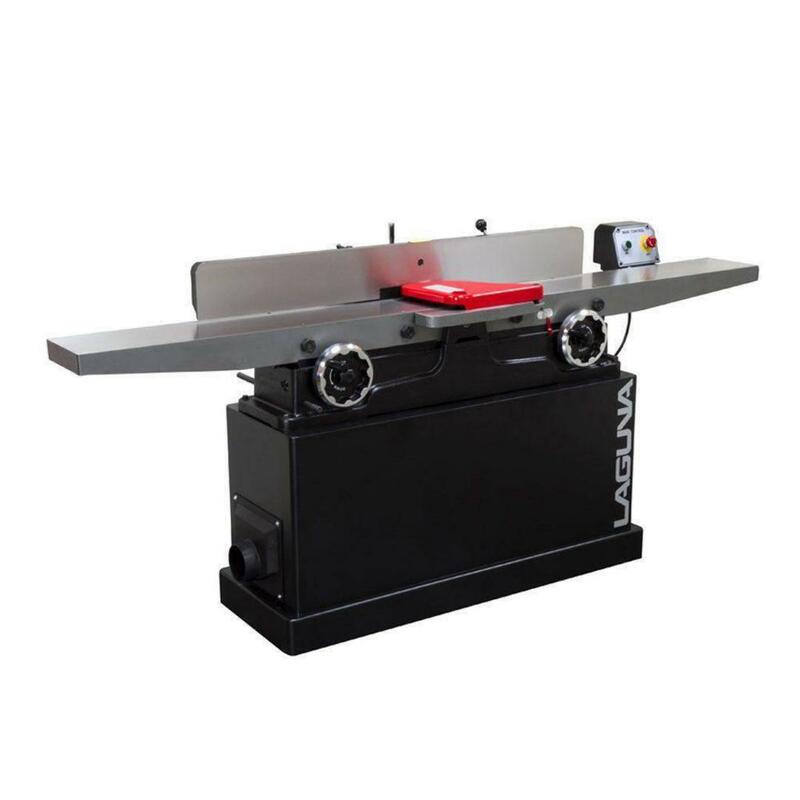 All of the inserts are slightly angled to give a shear type cut with low impact and less kick-back action. The leading edge is crowned to minimize lines appearing. Laguna ShearTec II heads are all 6 row; most competitors’ heads offer just 3 or 4 rows. There are a host of benefits associated from the additional rows: More carbide inserts, longer life, less noise and vibration, less kick-back and smoother finish.